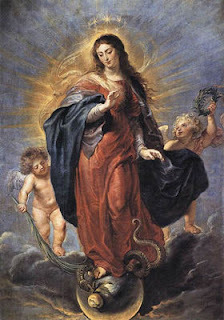 Yesterday, December 8th, was the Catholic feast of the Immaculate Conception of the Blessed Virgin Mary. I have a few thoughts to offer on this -- which I should have posted yesterday...but better late then never! But how could this be unless his mother was equally free of such sin?